Who better to advocate for the use of nitrous oxide for pain relief during labor than a labor and delivery nurse who’s actually used it? 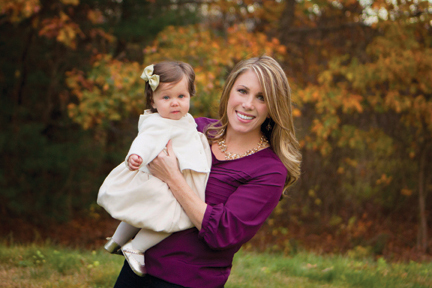 “We started offering nitrous oxide to patients in February 2014, and I was delivering my own child — my third — in April,” says Shannon LeLacheur, RN, BSN, who works in Lowell General Hospital’s Labor and Delivery Unit. “Several of my patients had used it in that time and I was able to see how they did with it. “I inhaled the gas just before a contraction began, then took the mask away from my face as the contraction ended,” she says. “You feel the relief in less than a minute; it takes away the hard edges of the pain and makes you feel as if you don’t care as much about it." “I felt like it empowered me because I could control the pain,” she adds. LeLacheur used the nitrous oxide for about three hours during labor. “It helped me cope very well, getting me through a difficult transition of labor,” she relates. “I ultimately ended up having an epidural, but some women go all the way to delivery with just the nitrous oxide. LeLacheur characterizes gas as an effective “middle ground” for pain management during labor, bridging the gap between a completely natural, unmedicated birth, or one with an epidural. From her perspective as a labor and delivery nurse, LeLacheur says that the nitrous oxide is easy to set up and administer. “It only takes a minute, and if the patient doesn’t like it, we can turn it off and move on to the next thing,” she says. “It’s not a big production.